In the Ombudsman's first Interim Report for 2013, Christopher Hamer focusses on the impact of the Consumer Protection from Unfair Trading Regulations 2008 (CPRs) for the day-to-day business operations of estate and letting agents. The report has been produced for the 22,0001 sales and lettings offices registered with The Property Ombudsman (TPO) scheme and provides case studies, commentary and guidance to assist agents in meeting their obligations under the CPRs. 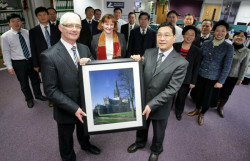 TPO letting agent branches exceed 10,000 for the first time. Letting agencies membership for The Property Ombudsman scheme now exceeds 10,000 branches for the first time - the milestone number was passed at the beginning of May. Housing Minister Mark Prisk has promised legislation to bring residential lettings agents within the scope of The Consumers, Estate Agents and Redress Act, for better consumer protection. The move has been welcomed by The Property Ombudsman, Christopher Hamer, as a positive step to raise consumer protection by giving access to an independent disputes resolution mechanism and also an opportunity to raise standards across an industry thought to handle £14 billion a year, earning £1 billion for itself in the process. Representatives from TPO, ARLA, RICS and UKALA met with the Committee of Advertising Practice (CAP) on 22 March regarding the ASA ruling on disclosure of non-optional fees and charges to tenants. CAP is the body responsible for issuing guidance on how, in practical terms, the obligations now placed on letting agents by the ASA ruling can be met. The group welcomed CAP's offer to the organisations attending the meeting for further involvement in process of defining the best approach for guidance. The recent ruling by the Advertising Standards Authority (ASA) relating to advertisements from Your Move lettings together with the Which? mystery shopping report of four letting agents have once again brought the issue of disclosure of fees imposed on tenants to the forefront of the current debate about the Private Rented Sector. In his 2012 Annual Report, The Property Ombudsman, Christopher Hamer, reiterates his call for some form of regulation of letting agents. At the very least Mr Hamer argues that all letting agents operating in the UK should be required by law to join the Ombudsman scheme. The OFT will be ceasing it Consumer Codes Approval Scheme from 1 April. As a result the OFT has withdrawn the right to use it's 'OFT Approved Code' logo from 31 March 2013. The Office of Fair Trading (OFT) is ceasing its Consumer Codes Approval Scheme from April 1. A County Durham lettings agency and an estate agency with the same sole director have been expelled from TPO for flagrant breaches of the Code of Practice and non-payment of the Ombudsman's award. A County Durham lettings agency, and an estate agency with the same sole director, have been expelled from The Property Ombudsman Scheme (TPO) for a minimum of two years. Organisations with varied interests in the English lettings industry, including some of the UK's major lettings agents, have met at The House of Lords to discuss improving industry standards. The event was organised by Lord Richard Best, chairman of the independent council overseeing The Property Ombudsman, following the completion of a report 'Regulating Residential Letting Agents: The Issues and Options' which TPO commissioned from leading academic Professor Michael Ball, of Reading University. A Bedford lettings agency that kept more than £2,000 rent money due to a landlord has been expelled from The Property Ombudsman (TPO) scheme. Town and Country Management Ltd (TCM), of 60, Harpur Street, Bedford, MK40 2QT, owned by Mr L La Mura and with an associate office in Ampthill, had been ordered by the Ombudsman, Christopher Hamer, to pay £2,243.52 to a landlord. The Ombudsman's second Interim Report of 2012 is directed at the industry and specifically focuses on the commission-earning clauses used within estate agents' agency agreements. Following The Property Ombudsman's renewed call for compulsory redress for letting agents in his Annual Report, his second Interim Report of 2012 is directed at the industry and specifically focuses on the commission-earning clauses used within estate agents' agency agreements. 'Proposed changes to the laws governing estate agency in Britain could see some homebuyers with no more protection than if they were buying a car in a private deal'. The Ombudsman and TPO's Independent Council's full response to the Department for Business, Innovation and Skills (BIS) proposal to amend the Estate Agents Act 1979. A national event by estate agents to help the homeless has been launched with the help of the Ombudsman and the Chairman of the Board. 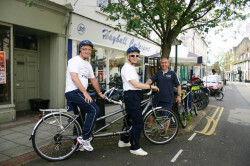 The Property Ombudsman, Christopher Hamer, and Bill McClintock, chairman of the company that operates the ombudsman scheme, borrowed a tandem from Hayball Cyclesport in Winchester Street, Salisbury, so they could show joint support for a 3,000 mile charity bike ride around Britain. The Property Ombudsman Scheme (TPO) is canvassing member firms over the provision of Client Money Protection (CMP) insurance. 'Whilst membership of TPO requires all residential sales and letting agents to abide by the TPO Codes of Practice, have Professional Indemnity Insurance, and agents holding clients' money to deposit this money in a separate clients account, it does not currently require residential letting agents to hold CMP,' explains Bill McClintock, chairman of the TPO operating company who is circulating a consultation document to members. Lettings agents across the UK are continuing to show their support for The Property Ombudsman scheme (TPO), with more than 300 offices joining this year to take the total past 9,000. 'The Government continues to ignore pleas for residential letting agents to be regulated in the same way as sales agents, which we believe would raise standards across the industry,' says Gerry Fitzjohn, chief operating officer of TPO.